Dental Associates of Atlanta is owned and managed by Dr. Carrie Watkins, Dr. Steve Rafeedie and Jeff Watkins. Carrie, Steve and Jeff have assembled a team of the finest dental professionals to ensure that your experience is second to none. Our team is committed to providing the highest level of service in a comfortable and friendly environment. We have a passion for treating each and every patient with sincerity and respect. Our patients often comment that they have never seen an office where every person they come in contact with is so incredibly friendly and has a genuine concern in making sure they have the best possible experience. Our dental team is dedicated to helping our patients achieve optimal oral health. We are committed to helping you create and maintain your beautiful smile for many years to come. 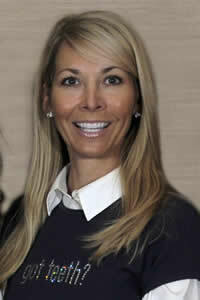 Dr. Carrie Watkins grew up in northwest Indiana and has been practicing dentistry since 1990. She received her Bachelor of Science degree from Purdue University in 1987, and received her Doctor of Dental Surgery degree from Indiana University School of Dentistry in 1990. 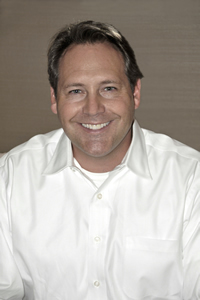 Dr. Watkins joined Dental Associates of Atlanta in 1992 and has co-owned and managed the practice since 1996. She is a member of the American Dental Association, Georgia Dental Association, Hinman Dental Society and Northern District Dental Society. Dr. Watkins served as the first comittee chairperson for the Gala for Smiles, an annual fundraiser that supports local dental charity clinics, and has volunteered at numerous dental charitable events. Additionally, she keeps up to date with the latest advancements in dentistry through many hours of continuing education each year, and has been recognized by Atlanta Magazine as one of Atlanta's "Top Dentists". She has enjoyed building long-term relationships with her patients. Dr. Steve Rafeedi e is an Atlanta native, grew up in Sandy Springs and graduated from Marist High School. He received his B.A. from Wofford College in 1988, and received his Doctor of Dental Medicine degree from The Medical College of Georgia in 1992. Dr. Rafeedie joined Dental Associates of Atlanta in 2012, while also owning and managing a practice in Stockbridge, Georgia. In 2018, Dr. Rafeedie is merging his Stockbridge office into Dental Associates of Atlanta, and will now be with us on a full-time basis. We are excited to welcome his Stockbridge patients to Dental Associates of Atlanta. Dr. Rafeedie has volunteered and headed the Hands of Hope charitable clinic for many years. He is a member of the American Dental Association, Georgia Dental Association, Hinman Dental Society and Northern District Dental Society. Jef f Watkins is originally from northern Ohio. He received a Bachelor of Science in Industrial Engineering degree from Purdue University in 1986, and received a Masters in Business Administration from the Kellogg Graduate School of Managment at Northwestern University in 1991. Jeff has co-owned and managed Dental Associates of Atlanta along with Dr. Watkins since 1996. If you are currently a patient, we appreciate the opportunity to care for you. If you are considering our practice, we look forward to getting to know you and your family. Please contact our office to learn more about the dental care we provide and to schedule an appointment.